As the world is commemorating the events of April 1994 in Rwanda – the genocide in which at least 800,000 Tutsis and moderate Hutus were killed, former journalist, now professor Allan Thompson, considers the role the media can play during mass atrocities. It has been 25 years since Rwanda slid into the abyss. The killings happened in broad daylight, yet many of us — individuals, media outlets, entire governments — turned away, or failed to grasp the unfolding events. As a reporter covering foreign affairs issues for Canada’s largest daily newspaper in 1994, I somehow didn’t grasp what was happening in Rwanda and remained as oblivious as many of my colleagues. I will forever be ashamed. When human beings are at their worst — as they most certainly were in Rwanda during the 1994 Genocide against the Tutsi — the world needs the institutions of journalism and the media to be at their best. Sadly, in Rwanda, the media fell short. Twenty-five years after the Genocide against the Tutsi, as similar tragedies continue to unfold today, there is still much to learn about the role that media plays when mass atrocity events threaten. Confronted by Rwanda’s horrors, international news media at times turned away, or muddled the story when they did pay attention by casting it in a formulaic way as anarchic tribal warfare rather than an organised genocide. Hate media outlets in Rwanda played a role in laying the groundwork for genocide, and then encouraged the extermination campaign. The lessons of Rwanda, in some respects a textbook case, should have been clear. But a quarter-century later, these are lessons that we still struggle to absorb. The global media landscape has been transformed since the 1994 Genocide in Rwanda. We are now saturated with social media, frequently generated by non-journalists. Mobile phones are everywhere. And in many quarters, the traditional news media business model continues to founder. Against that backdrop, it is more important than ever to examine the nexus between the media and the forces that give rise to mass atrocity. And at times, it seems that those who abuse the power of media and communications to demonise and divide get the upper hand, echoing on new social media platforms the same hate and prejudice as that broadcast all those years ago by the radio station, RTLM, or in the pages of the news magazine Kangura. Social media tools can be used to inform and engage, but also – in an echo of hate radio in Rwanda – can be used to demonize opponents and mobilize extremism. We are left with many troubling questions, still unresolved despite the passage of time since Rwanda. A new publication from CIGI Press – Media and Mass Atrocity: the Rwanda Genocide and Beyond – documents an effort to revisit the Rwanda case study while also casting forward to other scenes of mass atrocity where media have played a role. The book is the result of a project funded by Canada’s Centre for International Governance Innovation (CIGI), in Waterloo. The collection of papers – 27 chapters in all – begins with a foreword and introduction from one of the actors in this drama, retired Canadian General Roméo Dallaire, who was the commander of the doomed United Nations peacekeeping force in Rwanda. In his introductory chapter, Dallaire argues that the media can be used as a weapon by combatants in a conflict but should also be deployed by those who seek to prevent or staunch the fighting. Dallaire’s focus is on how the UN mission that he commanded failed to use news media tools effectively even as proponents of the Genocide dominated the airwaves with their hate radio messaging. Paul Rukesha, Digital Content Development Team Leader at the Kigali Genocide Memorial, writes about what it means to digitise a genocide. One of the many challenges facing a society coming to terms with genocide is to ensure that the history of the event is documented, that witness and survivor testimonies are recorded and catalogued, along with the documentary and media-generated evidence of the events. 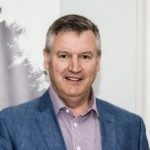 But perhaps equally daunting as the challenge of making sure this vital information is gathered and retained is finding a way to make it available to researchers and to the public at large. The collection applies a media lens to the cases of Darfur, Central African Republic, the Yazidis, Syria, Myanmar and South Sudan while harkening back to Rwanda. The impact of social media as a new actor is examined through chapters on social media use by the Islamic State, in Syria and in other contexts across the developing world. 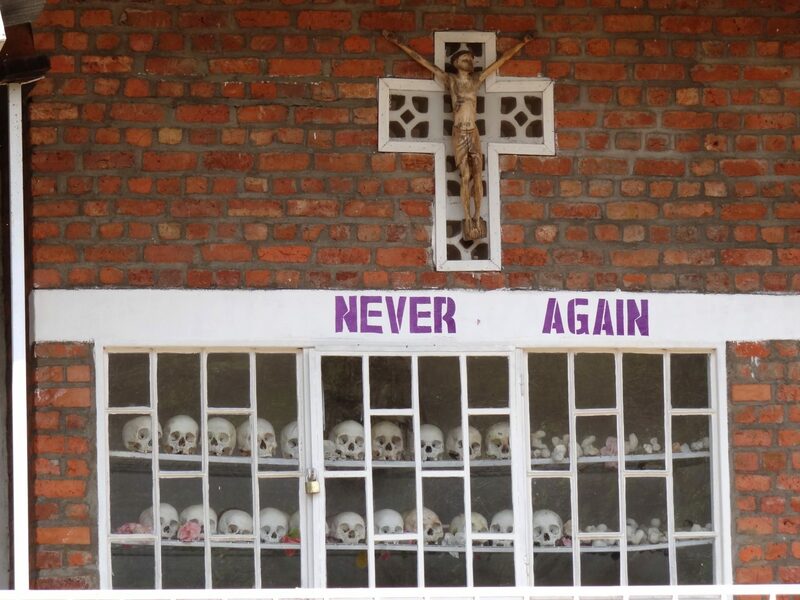 Media and Mass Atrocity: the Rwanda Genocide and Beyond questions what the lessons of Rwanda mean now, in an age of communications so dramatically influenced by social media and the relative decline of traditional news media. And in the end, there are still far more questions than answers. In my own experience, I was able to contribute to international awareness of the events in Rwanda – albeit years after the fact – by documenting the case of the video footage captured on April 11, 1994 by British journalist Nick Hughes, showing the deaths of two of the early victims of the Genocide against the Tutsi. Years later, and with the help of others, I was able to identify those who had been killed in the famous footage – Gabriel Kagaba and Justine Mukangango – and to tell their story through the recollections of family members who survived. The enormous response to the original Toronto Star story about the Hughes footage made me realise that part of what had been missing from the coverage of events in 1994 was a human face. The most powerful journalism is about people. As journalists, we sometimes feel we have succeeded if our work brings those people to life. For those who report on conflict and mass atrocities, perhaps we have achieved something if we can convince people to identify with those who have perished, to feel some connection and responsibility and, most important, to learn. <h3>As the world is commemorating the events of April 1994 in Rwanda - the genocide in which at least 800,000 Tutsis and moderate Hutus were killed, former journalist, now professor Allan Thompson, considers the role the media can play during mass atrocities.</h3> It has been 25 years since Rwanda slid into the abyss. The killings happened in broad daylight, yet many of us — individuals, media outlets, entire governments — turned away, or failed to grasp the unfolding events. And that includes me. As a reporter covering foreign affairs issues for Canada’s largest daily newspaper in 1994, I somehow didn’t grasp what was happening in Rwanda and remained as oblivious as many of my colleagues. I will forever be ashamed. When human beings are at their worst — as they most certainly were in Rwanda during the 1994 Genocide against the Tutsi — the world needs the institutions of journalism and the media to be at their best. Sadly, in Rwanda, the media fell short. Twenty-five years after the Genocide against the Tutsi, as similar tragedies continue to unfold today, there is still much to learn about the role that media plays when mass atrocity events threaten. Confronted by Rwanda’s horrors, international news media at times turned away, or muddled the story when they did pay attention by casting it in a formulaic way as anarchic tribal warfare rather than an organised genocide. Hate media outlets in Rwanda played a role in laying the groundwork for genocide, and then encouraged the extermination campaign. The lessons of Rwanda, in some respects a textbook case, should have been clear. But a quarter-century later, these are lessons that we still struggle to absorb. <h4>New media</h4> The global media landscape has been transformed since the 1994 Genocide in Rwanda. We are now saturated with social media, frequently generated by non-journalists. Mobile phones are everywhere. And in many quarters, the traditional news media business model continues to founder. Against that backdrop, it is more important than ever to examine the nexus between the media and the forces that give rise to mass atrocity. And at times, it seems that those who abuse the power of media and communications to demonise and divide get the upper hand, echoing on new social media platforms the same hate and prejudice as that broadcast all those years ago by the radio station, <em>RTLM</em>, or in the pages of the news magazine <em>Kangura</em>. Social media tools can be used to inform and engage, but also - in an echo of hate radio in Rwanda - can be used to demonize opponents and mobilize extremism. We are left with many troubling questions, still unresolved despite the passage of time since Rwanda. <h4>New Publication</h4> A new publication from <a href="https://www.cigionline.org/publications/media-and-mass-atrocity-rwanda-genocide-and-beyond" target="_blank" rel="noopener noreferrer">CIGI Press – <em>Media and Mass Atrocity: the Rwanda Genocide and Beyond </em></a>– documents an effort to revisit the Rwanda case study while also casting forward to other scenes of mass atrocity where media have played a role. The book is the result of a project funded by Canada's Centre for International Governance Innovation (CIGI), in Waterloo. The collection of papers – 27 chapters in all – begins with a foreword and introduction from one of the actors in this drama, retired Canadian General Roméo Dallaire, who was the commander of the doomed United Nations peacekeeping force in Rwanda. In his introductory chapter, Dallaire argues that the media can be used as a weapon by combatants in a conflict but should also be deployed by those who seek to prevent or staunch the fighting. Dallaire’s focus is on how the UN mission that he commanded failed to use news media tools effectively even as proponents of the Genocide dominated the airwaves with their hate radio messaging. Paul Rukesha, Digital Content Development Team Leader at the Kigali Genocide Memorial, writes about what it means to digitise a genocide. One of the many challenges facing a society coming to terms with genocide is to ensure that the history of the event is documented, that witness and survivor testimonies are recorded and catalogued, along with the documentary and media-generated evidence of the events. But perhaps equally daunting as the challenge of making sure this vital information is gathered and retained is finding a way to make it available to researchers and to the public at large. The Genocide against the Tutsi sparked the usual calls of ‘never again’ and yet, in the years since, the world has witnessed numerous mass atrocity events that could be called “echoes of Rwanda.” The collection applies a media lens to the cases of Darfur, Central African Republic, the Yazidis, Syria, Myanmar and South Sudan while harkening back to Rwanda. The impact of social media as a new actor is examined through chapters on social media use by the Islamic State, in Syria and in other contexts across the developing world. <em>Media and Mass Atrocity: the Rwanda Genocide and Beyond</em> questions what the lessons of Rwanda mean now, in an age of communications so dramatically influenced by social media and the relative decline of traditional news media. And in the end, there are still far more questions than answers. In my own experience, I was able to contribute to international awareness of the events in Rwanda – albeit years after the fact – by documenting the case of the <a href="https://vimeo.com/126760724" target="_blank" rel="noopener noreferrer">video footage</a> captured on April 11, 1994 by British journalist Nick Hughes, showing the deaths of two of the early victims of the Genocide against the Tutsi. Years later, and with the help of others, I was able to identify those who had been killed in the famous footage – Gabriel Kagaba and Justine Mukangango – and to tell their story through the recollections of family members who survived. The enormous response to the original <a href="https://www.thestar.com/news/insight/2009/04/11/the_father_and_daughter_we_let_down.html" target="_blank" rel="noopener noreferrer"><em>Toronto Star</em></a> story about the Hughes footage made me realise that part of what had been missing from the coverage of events in 1994 was a human face. The most powerful journalism is about people. As journalists, we sometimes feel we have succeeded if our work brings those people to life. For those who report on conflict and mass atrocities, perhaps we have achieved something if we can convince people to identify with those who have perished, to feel some connection and responsibility and, most important, to learn.